Photo series consisting 40 x black and white photographs with captions under - 210 x 297mm + (various dimensions)Photo book edition publication: binding: embossed black linen bound hardback - dimensions 263mm x 263mm - pages 89 – presented 40 black and white photographs with captions opposite pages. Photo essay series offering conceptual and philosophical meditations on the rarely documented field of fetal stem cell research. The work offers an intensely poetic reflection on ethically controversial area of stem cell research within regenerative medicine that uses fetal tissue as a source of stem cells. Fetal stem cells allow for the study of pluripotent cell phenomena at a very basic level. The fetal research field is riven with controversy, particularly in countries where abortion and artificial reproductive technology is less widely accepted. 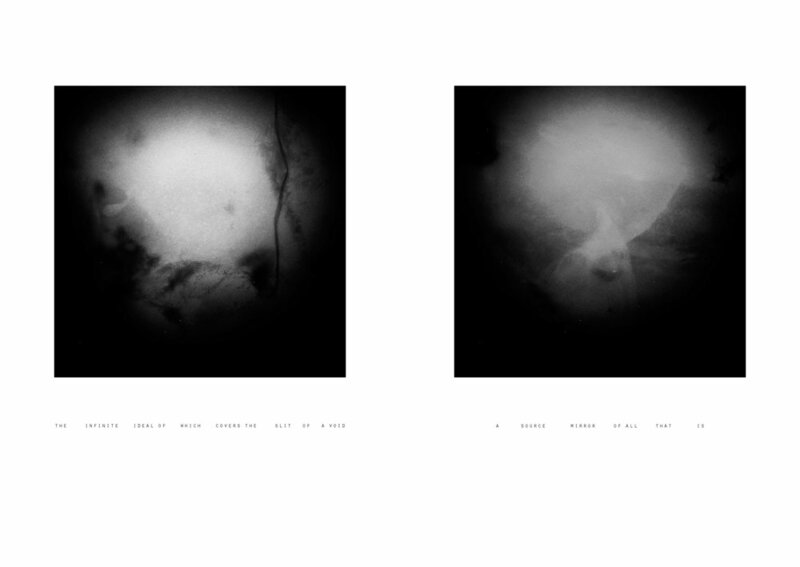 The series comprises of micro-photographic studies of a human donor excised in-vitro fetal umbilical cord. The photographs sensitively and respectfully portray the fetal tissue bridge as a ghostly orphaned and sensory subject in a series of evolving spectral images. Image captions are used to expand potential philosophical and psychological readings and are taken from Luce Irigaray’s interpretative text of Plato’s Hystera. The work pays homage to Irigaray’s critical analysis of the ideological and philosophical appropriations of the Platonic metaphors of the cave, the womb and the passage womb to trace how woman came to be excluded from the production of dominant western philosophical and cultural discourse. The photo and caption juxtapositions conceptually and philosophically echo and explore the framing of female absence and raise questions about the political and ethical status of the orphaned ethereal subject. The series conveys respectful readings of the unknowable reality of human origination in the transhuman context. Irigaray, L, (1985) Speculum of the Other Woman. 1st ed. Ithaca, United States: Cornell University Press.